Al-Nusra Terrorists Rebrand to Receive Money and Weapons from US and Gulf. By Veterans Today. According to a recent report by CBC Canada, al-Qaeda’s affiliate in Syria, which was formerly known as al-Nusra Front and then Jabhat Fateh al-Sham (JFS) since July 2016, has been removed from the terror watch-lists of the US and Canada after it merged with fighters from Zenki Brigade and hardline jihadists from Ahrar al-Sham and rebranded itself as Hayat Tahrir al-Sham (HTS) in January this year. 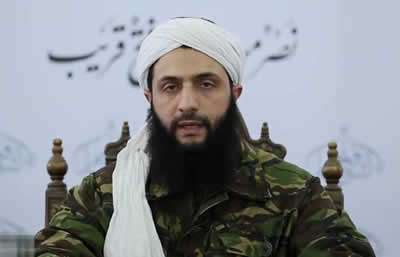 The overall military commander of Tahrir al-Sham continues to be Abu Mohammad al-Julani, whom the US has branded a Specially Designated Global Terrorist with a $10 million bounty. But for the US to designate Tahrir al-Sham as a terrorist organization now would mean acknowledging that it supplied sophisticated weapons to terrorists, and draw attention to the fact that the US continues to arm Islamic jihadists in Syria. A picture taken on October 25, 2013 shows members of jihadist group al-Nusra Front taking part in a parade calling for the establishment of an Islamic state in Syria. 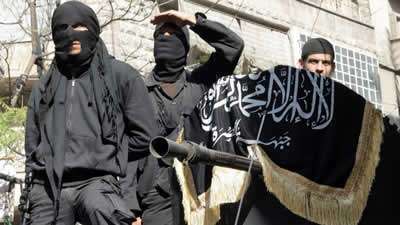 The group has morphed several times after absorbing other jihadi groups and is now calling itself Hay’at Tahrir al-Sham. Although al-Nusra Front has been led by Abu Mohammad al-Julani but he was appointed  as the emir of al-Nusra Front by Abu Bakr al Baghdadi, the leader of Islamic State, in January 2012. In March 2011, protests began in Syria against the government of Bashar al-Assad. In the following months, violence between demonstrators and security forces led to a gradual militarization of the conflict. In August 2011, Abu Bakr al-Baghdadi, who was based in Iraq, began sending Syrian and Iraqi jihadists experienced in guerilla warfare across the border into Syria to establish an organization inside the country. Al-Baghdadi declared that the two groups were merging under the name “Islamic State of Iraq and Syria.” The leader of al-Nusra Front, Abu Muhammad al-Julani, issued a statement denying the merger and complaining that neither he nor anyone else in al-Nusra’s leadership had been consulted about it. 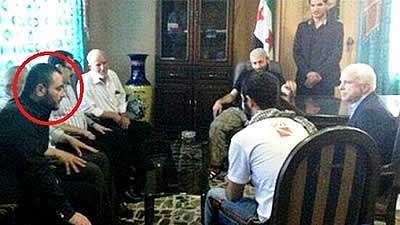 Al-Qaeda Central’s leader, Ayman al Zawahiri, tried to mediate the dispute between al-Baghdadi and al-Julani but eventually, in October 2013, he endorsed al-Nusra Front as the official franchise of al-Qaeda Central in Syria. 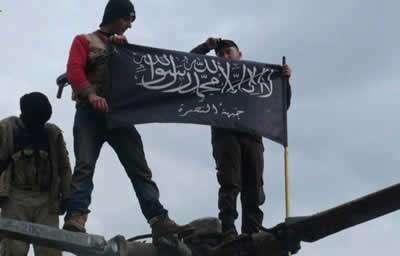 Rebels from al-Qaeda affiliated Nusra Front wave their brigade flag as they step on the top of a Syrian air force helicopter, at Taftanaz air base in 2013. 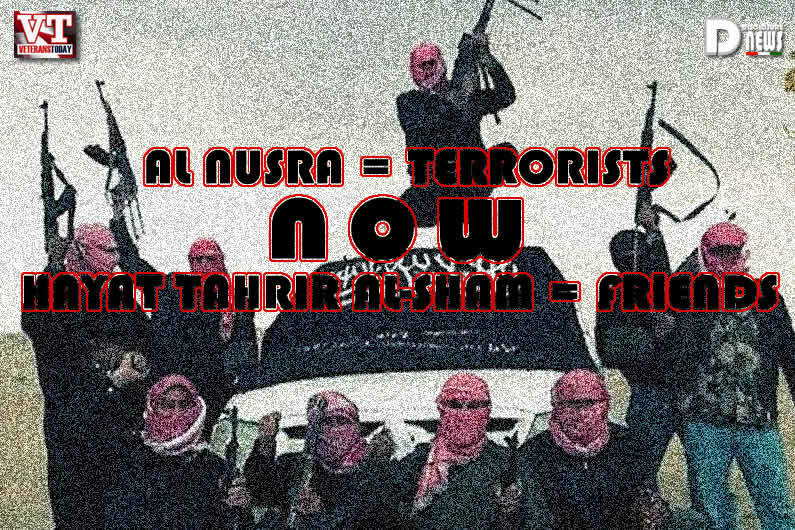 As al-Nusra, the group was on the terrorist list, but al-Nusra has disappeared. 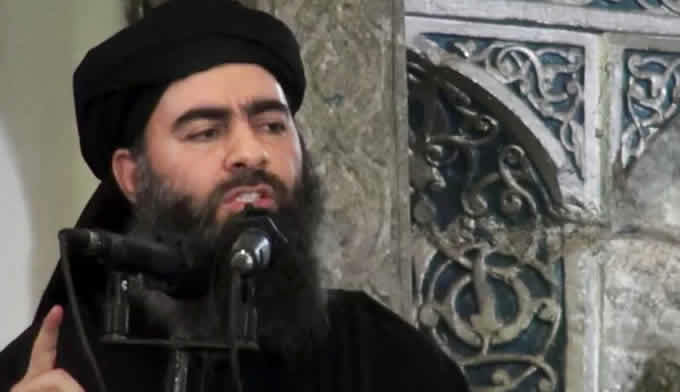 Abu Bakr al-Baghdadi, however, defied the nominal authority of al-Qaeda Central and declared himself as the caliph of Islamic State of Iraq and Syria. Thus, the Islamic State operated in Syria since August 2011 under the designation of al-Nusra Front and it subsequently changed its name to the Islamic State of Iraq and Syria (ISIS) in April 2013, after which, it overran Raqqa in the summer of 2013, then it seized parts of Deir al-Zor and fought battles against the alliance of Kurds and the Syrian regime in al-Hasakah. And in January 2014 it overran Fallujah and parts of Ramadi in Iraq and reached the zenith of its power when it captured Mosul in June 2014. The purpose behind the rebranding of al-Nusra Front to Jabhat Fateh al-Sham and purported severing of ties with al-Qaeda Central was to legitimize itself and to make it easier for its patrons to send money and arms. The US blacklisted al-Nusra Front in December 2012 and pressurized Saudi Arabia and Turkey to ban it too. Although al-Nusra Front’s name has been in the list of proscribed organizations of Saudi Arabia and Turkey since 2014, but it has kept receiving money and arms from the Gulf Arab States. It should be remembered that in a May 2015 interview with al-Jazeera, Abu Mohammad al-Julani took a public pledge on the behest of his Gulf-based patrons that his organization only has local ambitions limited to fighting the Assad regime in Syria and that it does not intends to strike targets in the Western countries. Thus, this rebranding exercise has been going on for quite some time. Al-Julani announced the split from al-Qaeda in a video statement last year. But the persistent efforts of al-Julani’s Gulf-based patrons have only borne fruit in January this year, when al-Nusra Front once again rebranded itself from Jabhat Fateh al-Sham (JFS) to Hayat Tahrir al-Sham (HTS), which also includes “moderate” jihadists from Zenki Brigade, Ahrar al-Sham and several other militant groups. The US State Department has finally given a clean chit to the jihadist conglomerate that goes by the name of Tahrir al-Sham to pursue its ambitions of toppling the Assad regime in Syria.